There is no night so dark, so black as night in the country. In little houses people lie sleeping and dreaming about daytime things, while outside —in the fields, and by the rivers, and deep in the trees— there is only night and nighttime things. There is no night so dark, so black as night in the country. And while the people dream of daytime things, the nighttime world awakens. Owls swoop, a rabbit patters, and in the yard an apple falls —pump!— from the tree. Listen. Go to the window. Across the field a light glows. Who else is up so late? 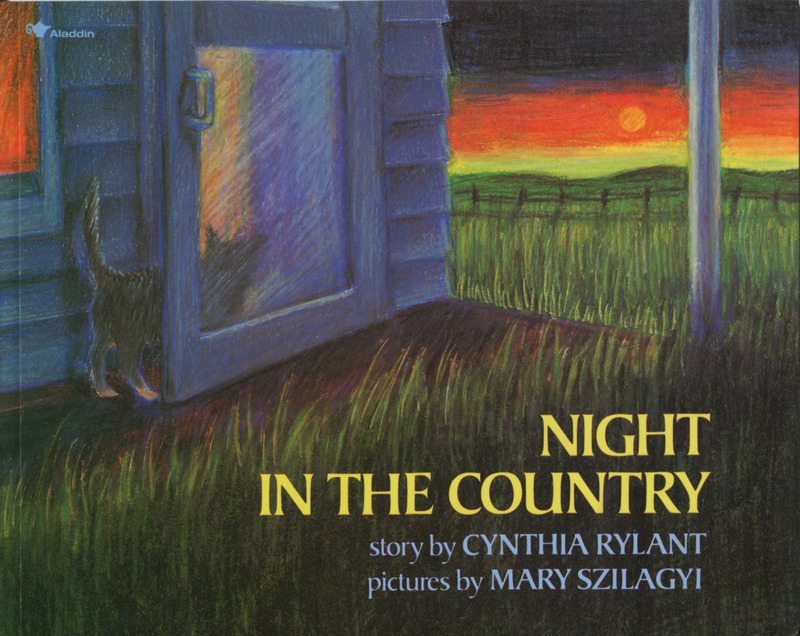 Who else watches and hears the sights and sounds of night in the country—the many stirrings of silence, the many colors of the dark? Lyrical text and velvety pictures present a very different kind of nighttime: a mysterious, moving night that will lull small children to sleep.